Archie Alexander will give Chairman’s Quality winner Gallic Chieftain his chance in the Sydney Cup. Gallic Chieftain’s Group Two victory in the Chairman’s Handicap has convinced Victorian trainer Archie Alexander the horse deserves his place in the Sydney Cup. Saturday’s 2600m-race is a precursor to next Saturday’s Cup (3200m) with Gallic Chieftain tightened from $26 to $15 for the Group One race with Godolphin European visitor Dubhe the $4 favourite. 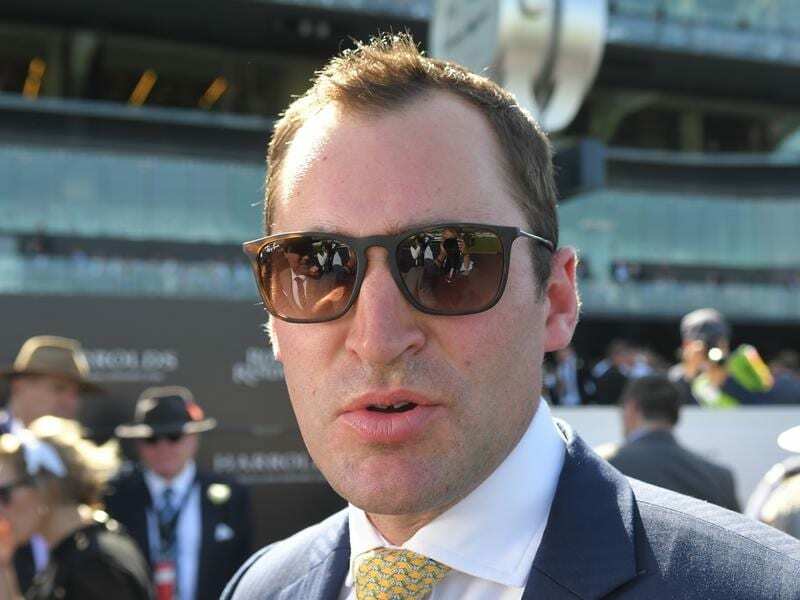 When fellow Ballarat trainer Darren Weir was disqualified, OTI Racing transferred last year’s Warrnambool Cup winner Gallic Chieftain to Alexander having had several horses with him. The six-year-old was having his third start for the stable, finishing fifth at his other two and withdrawn from a 2000m-race at Caulfield in favour of Randwick. “OTI are a big help to me and always have been and this horse is terrific,” Alexander said. “Coming up here I was really confident. We’ve brought horses up here before and it’s hard travelling them. “Some horses just don’t settle but this horse has done really well. “We came up here just for this race but with the Sydney Cup in the back of our mind obviously. “We probably can’t go back home now so we will keep him here, keep him nice and fresh for a week, and tackle the big one. “It’s been a real mission of mine to come up and beat you guys in Sydney and I’m really happy to do it. The jockey was Damian Lane who settled Gallic Chieftain ($16) in the second half of the field which strung out down the back straight. As the horses took closer order coming to the turn, Gallic Chieftain was in a good position and made his run down the outside, against the original plan to stick to the fence. He went to the line half a length ahead of Shraaoh ($8) with Semari ($19) another 1-1/4 lengths third and last year’s winner Sir Charles Road fourth. “He is a credit to Archie and his team,” Lane said. Lane has no doubt Gallic Chieftain can perform well in the Cup. “Whatever the conditions he faces, he should run the trip,” Lane said.